Is Bank On Yourself a scam? Is Bank On Yourself Legitimate Or A Scam? If you’ve ever searched for Bank On Yourself on Google, you’ve probably come across a couple of websites containing threads where posters debate the merits of Bank On Yourself. One such thread that comes up high in the search results has nearly 200 posts spanning the last year and a half. On this lively audio podcast, Bank On Yourself founder Pamela Yellen discusses how her toughest anonymous critic on that thread has slowly been coming around. Near the end of this 15-minute interview, you’ll also discover a fast and simple experiment you can try to determine if Bank On Yourself really is a scam… or if it’s the ultimate financial security blanket in both good times and bad. I believe the answer started at 4.5% but was readjusted down to 1.5% for inflation. It’s not a scam. I’ve been working it since starting with it for several years now, and am building my wealth. Insightful! “Yon” seems to be coming around slowly. That’s the way it works much of the time when introduced to a better idea. I’m reminded that the best way to become a millionaire is to stick your head above the crowd to see which way it is going and run as hard as you can in the opposite direction. Earl Nightingale suggested that the best way to never make another mistake is to do the opposite of what the majority are doing. Regardless of my frail explainations of why BOY is the way to go I’m not swayed by the “nay-sayers”. Emerson said that “for nonconformity the world whips you with its displeasure”. His annual return over the past 29 years was 4.5%, after inflation and taxes he was looking at next to NOTHING for return!! I really enjoyed reading “Bank on Yourself,” Pamela and thanks for the google tip to research!! Keep up the excellent work!!! Oops, I failed to record “Yon’s” annual rate of return. According to his figures it was about four-and-one-half percent. In real terms after taxes it would have probably been about one-and-a-half percent! I am now 61 and started a BOY policy for my wife about 1.5 years ago and one on myself earlier this year. It is a way to “save” for our retirement. I’m sold on the product! One day my advisor asked me if I heard of BOY and I said yes but I never got around to finding an advisor. It turns out he was one…cool. 4.50% was his annual return BEFORE taxes and inflation. 1.5% after tax and inflation which is not good! 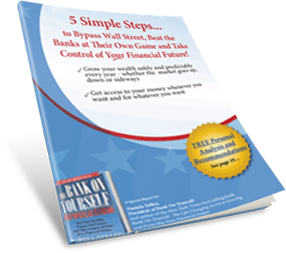 Jim Rohn once said break away from the 90% of U.S. followers and join the 10% who control their finances! I have so should you! 4.5% !? Then pay taxes on that? No thanks. I now leave my Dow Jones anxiety at the door. Easy, and profitable. 4.5% before figuring on everything that comes out which left a zero return. This was very interesting! thanks so much for sharing!! Less than 1.5 if any after tax deferred programs are paid. YIKES! I love the ROTH nature of the BOY plan! Hi, my name is billy cross and i,m just replying with the answer to her question in the e-mail. It is 4 and 1/2 percent. Thanks. Answer to your question: 4.5% for the anonymous investor; but I believe you said 3.83% overall average. Wow. I had the exact same experience when investigating BOY before starting my own plans (have multiple policies and am LOVING the results – exactly as predicted or better, no surprises and I sleep well at night). I made the same Google search and spent hours poring over the posts. What struck me was that nobody ever presented any evidence of any kind of scam. Some folks disagreed with the assumptions or touted their wildly inaccurate assumptions about equities as a more attractive alternative, but never did anyone have anything remotely scam-ish to report. The answer to the critic’s rate of return is 4.5. I did check this out, but it was 7 years to just break even on my investment. As I am retired, it doesn’t seem that there is time for BOY to work for me. The critic’s return after 29 yrs. was approx. 4% before taxes and inflation was factored in. i will google the questions, talk with my “richer” friends and seek an analysis from BOY. 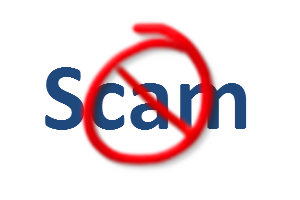 No….not a scam. When you do the maximum allowed in your policy(s) it will blow you away at how they turbo charge. I got my first policy 7 years ago. I now have 6 and am about to get a 7th. I am maxed out. I cannot get anymore. It took dedication early on but once it kicked in and more important, once I put the maximum in my Paid Up Additions Rider (keeping it below a MEC)I was amazed. I am about to pay my mortgage off at the bank and finance my home though my own bank. I am my own banker and it is awesome! I tell everyone who will listen. 4.5% per year not including inflation or taxes. I don’t know where to start! Coincidently, I googled BOY just a few minutes ago because I wanted to find Bank on Yourself Nation, which I still did not, but I did find the scam.com as referenced. So, I clicked on it and started reading. Cut to the end, as you point out in the podcast, you’ll find skeptics and defenders, with the defenders turning the skeptics around. If you think about it, we were all skeptics before becoming enlightened! The return “yon” received is somewhat hard to believe for a variety of reasons. If we are looking at the average investor, I would ask what happened in 1999 to 2001 and 2008 qand how did he/she avoid taking the huge loss that most of us experienced. And, what about the last few weeks, including last week? I’m smiling! Thanks, Aurael!